glossy card stock, and features 13 paintings done in Alcohol Ink by Sandy. It's also a unique stocking-stuffer, sure to be appreciated by all the nature and art lovers on your holiday list! 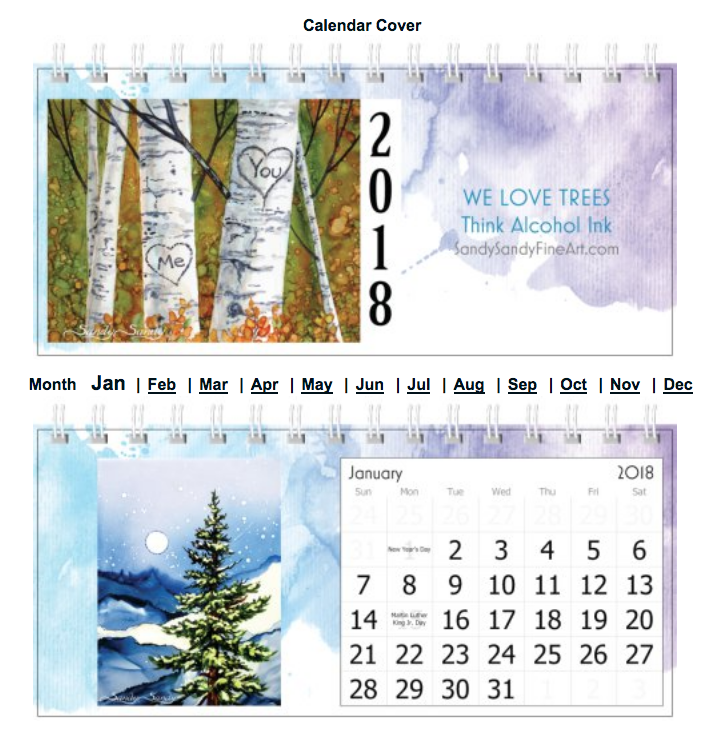 See the "We Love Trees" ﻿2018 Wall Calendars﻿ here.